WHITE PLAINS—While developers have stepped up and broken ground on huge projects downtown and have ambitious mixed-use plans in all corners of the city, the City of White Plains has begun seeking investor interest in what will likely be the most attractive and strategically located transit-oriented parcels anywhere in the city. The development to be built there will likely change the complexion of Downtown White Plains and hopefully provide a link to a host of adjoining neighborhoods to the Downtown District. On June 12th, the city released a request for expression of interest (RFEI) for the White Plains Transit District, which consists of four parcels of land totalling 4.5 acres. The assemblage includes three city-owned properties and one parcel owned by the city’s Urban Renewal Agency. The properties are located along the easterly side of the White Plains Metro-North train station and consist currently of two surface parking lots, a parking garage and a municipal fire house. 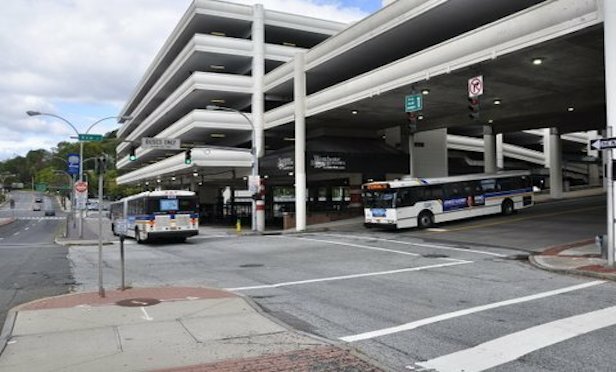 The White Plains Transit District project represents a significant re-development opportunity, according to city officials. In addition to development proposals, the city is also looking for a means to enhance critical pedestrian connections between the Transit District and adjacent neighborhoods, including Battle Hill, Fisher Hill and Ferris Avenue, as well as reinforce the existing Main Street connection to the downtown core. The RFEI specifies that all development concepts must be consistent with the six primary community-driven planning principles developed through significant public input through the Transit District Strategic Plan process, including: Bike/Pedestrian Improvements, Placemaking, Open Space, Density, Economic Development, and Parking. Development proposals must include provisions for the relocation of parking, as well as the incorporation of a new 40,000-square-foot municipal firehouse either at its present site at 20 Ferris Ave. or within the 4.5-acre development site. The deadline for the submission of the expressions of interest is Aug. 18, 2017. In March, White Plains Mayor Roach, in a speech before the Hudson Gateway Association of Realtors’ Commercial Investment Division, stated that after the RFEI solicitation, the city and interested parties will assess the market to determine what types of development would be viable. Afterwards, the city would then issue a Request for Proposals and eventually select a winning development proposal. Mayor Roach said at the CID session he hoped the entire process would take about a year to select a winning bidder for the project. During his presentation, the mayor said he believed initial development possibilities would include street retail, multifamily development, as well as event-oriented space and some open space. The study of the transit district was funded by a $1-million grant from the New York State Energy Research Development Authority. 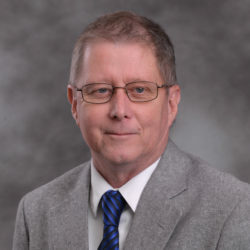 The city hired Parsons Brinckerhoff for preliminary planning, design and engineering services in connection with the study. In December 2016 the city released the White Plains Transit District Strategic Plan, which encompasses an area of one-third of a mile around the White Plains Metro-North Station. The district also includes the Westchester County Bee-Line TransCenter Bus Terminal and the future site of multiple stops and planned eastern terminus of the Lower Hudson Transit Link Bus Rapid Transit from Rockland County to White Plains. The community-driven plan was formulated using feedback received through a 15-month community engagement process resulting in the collection of more than 2,000 public comments compiled during multiple public engagement meetings and city events.